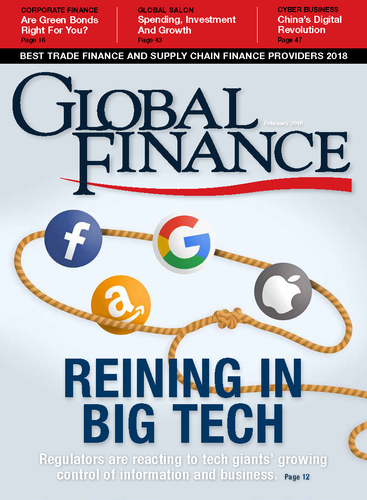 Global Finance: What technologies will have the biggest impact on trade finance this year? 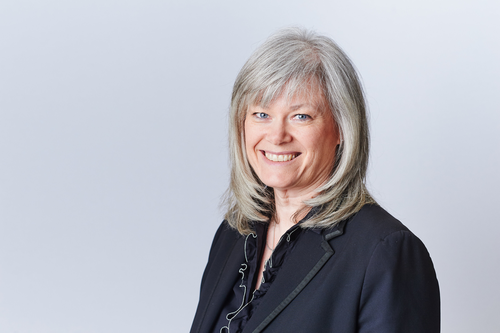 Lisa Lansdowne-Higgins: Implementation of new trade platforms, offering enhanced product capability and more efficient back-office processing, are already proliferating in the marketplace and will continue to do so in 2018. Software that enables automation of supply chain finance solutions will also be integrated into those platforms. As banks launch these new solutions, they will place a significant focus on data and analytics that provides access to improved predictive analytics and internal performance measures. As banks attempt to commercialize the added security and capability of this new technology, we continue to expect initiation of blockchain proof-of-concepts, while robotics and AI will also be tested for their ability to improve turnaround and accuracy for clients. GF: What value-added benefits can advanced analytics, machine learning and AI provide trade finance? Lansdowne-Higgins: Trade finance experiences many touchpoints between buyers, sellers, banks, customs, shipping companies, surveyors, etc. AI can analyze specific patterns, producing predictive analysis that can enable all parties involved to make well-informed decisions. For example, the deteriorating financial condition of a shipping company can be flagged or a drop in a commodity price can be highlighted. RBC is one of the leading voices on AI in Canada. GF: When developing blockchain uses, how important is it to include the whole trade finance ecosystem? Lansdowne-Higgins: Blockchain technology shows signs of promise but also raises some challenges, including technology access in emerging market countries, and linking all the parties together to build a strong ecosystem. However, rather than wait for all parties to join, banks are taking steps to use blockchain for transactions with counterparties who are ready and willing to partner. For example, RBC has been involved in proof-of-concepts to assess the interoperability of blockchain with our future state trade platform—limiting the magnitude of the change. While the improved technology is likely to make participation from the full trade ecosystem easier for clients and banks, there is still a concern that freight and shipping companies who deal with the physical goods may have more change to deal with. GF: What can banks do to promote trade finance innovation both for themselves and their clients? Lansdowne-Higgins: Trade finance innovation can be driven by understanding client needs as well as the imperative to enable Canadian businesses to access international markets. Currently, Canadian exporting significantly lags many developed countries. With shifting trade corridors (e.g. Brexit, US protectionism, trade pacts), banks must ensure that our small and medium-sized business clients receive the advice they need to be competitive internationally. Through investment and innovation, Canadian banks must rise to the challenge posed by this gap. Innovation is having a tremendous impact on the financial services sector. RBC remains a champion for Canadian innovation and we believe our focus, investment and partnerships in innovation will help drive the future prosperity and economic success of Canada. Our size and scale enables us to use data effectively to better understand our clients, derive new insights and increase our effectiveness, while ensuring the safety and security of our clients’ information. GF: With NAFTA under discussion, what changes should Canadian businesses make to remain competitive? Lansdowne-Higgins: Globalization and access to foreign markets were, at one time, the most sought-after strategies used by countries; however, Free Trade agreements have now been negotiated and redrawn to obtain greater synergies. The US is Canada’s biggest trading partner and will continue to be so going forward. Given the current uncertainty over NAFTA, clients are continuing to look to foreign markets to diversify. Companies who are agile and can pivot quickly to this changing dynamic will be the most successful.